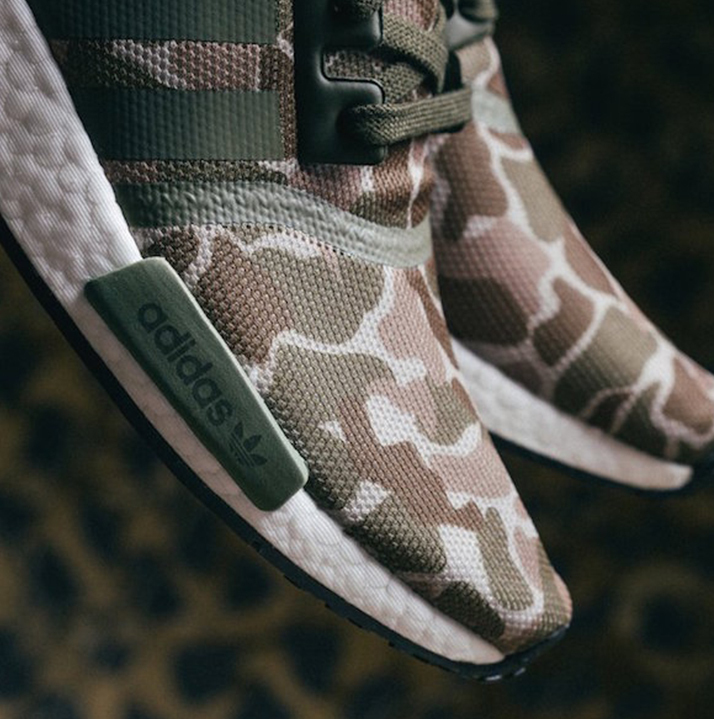 Since its release in 2015, adidas has continued to improve the NMD_R1’s cutting edge technology. 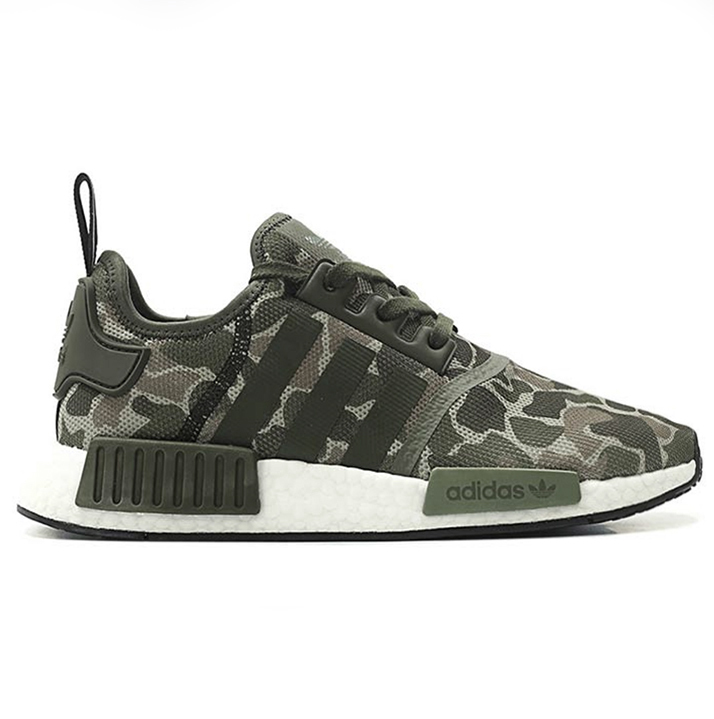 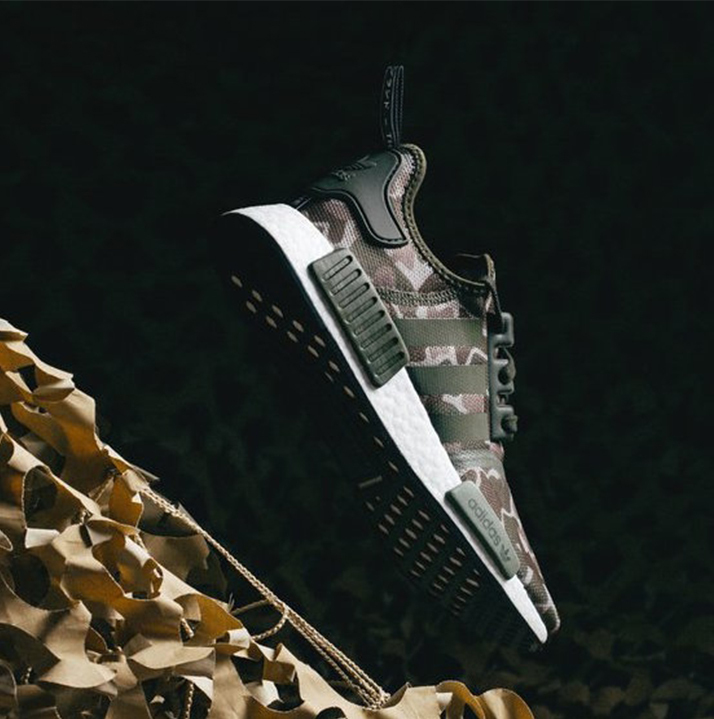 The NMD_R1 ‘Sesame’ features a one-piece mesh upper dressed in a camo print with dark green accents on the Three Stripes branding on the sidewall, eyestay, and on the heel. 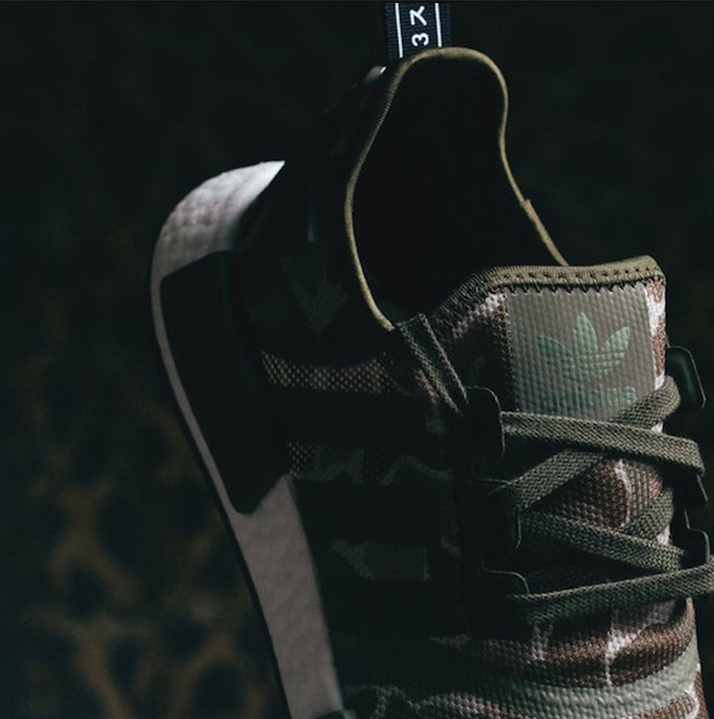 The low top boasts the NMD’s signature molded EVA midsole plugs, a full-length Boost midsole for responsive cushioning, and a webbed rubber outsole for extra traction.